Home » Who Will Topple Team USA At 2014 FIBA World Cup? Who Will Topple Team USA At 2014 FIBA World Cup? Okay, the bookmakers are still sticking with Team USA as the favourites for the 2014 FIBA World Cup, but as the 2014 FIFA World Cup showed us, the favourites don’t always win, even at these major tournaments. Yes, the Americans have technically the better players and they play in the best league but this is no guarantee of success. There are plenty of elements that account for success in big summer tournaments, and these are some of the teams that are the most likely to spring a surprise in Spain. The Lithuanians can call on Jonas Valanciunas and Donatas Motiejunas, which means that they are able to break with speed, precision and quality. Turning defence into offence quickly is a major part of basketball, and this is something that Lithuania provides in abundance. They may be missing Linas Klezia but they can rely on Renaldas Siebutis to chip in points from the wing. Seibutis was drafted by the Mavericks way back in 2007, but he decided to stay in Europe. This may be the summer when he finally shows America what he is capable of. You will also find that Lithuania can call on brothers, and if Spain are anything to go by, this fraternal link is a strong bonus on the court. The Lavrinovic twins, Darjus and Kristof, are both 6’11, so there is a great sense of height and strength in this team, making them a formidable outfit. Add in the fact that Lithuania reached the Eurobasket 2013 final and have pushed Team USA hard in the past means that this is a side that is worth looking out for. With the start of the 2014 FIBA World Cup now just days away, the betting market is in full swing. Bet365 has individual game betting now available on their site, so if you are keen to progress beyond the Futures market and place bets on individual games and match-ups, this is the site to check out. Argentina may not be able to call on Manu Ginobili, but don’t write them off just yet. 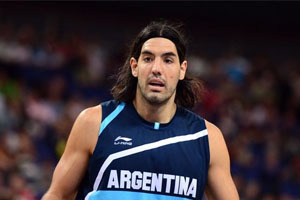 Luis Scola is a player that has done it all in basketball and with Pablo Prigoni and Andres Nocioni bringing a great deal of major tournament experience with them, this is a squad that will not be overawed by the event. Sometimes teams with great players end up playing the occasion or the event as opposed to their opponents, which is a sure fire way to lose. With Argentina, you can rest assured that their players will be focused on the games. Sometimes it is players who have something to prove that make the biggest impact on these events. You would imagine that Team USA will be able to handle NBA rookie Giannis Antetokounmpo with ease but this is a real chance for the player to make his mark. Some basketball players manage to find an extra level of motivation or desire when it comes to representing their country, and while Team USA may think they can handle the athletic youngster, he may be operating at a higher level than what they normally see from him. The player has shown considerable progress in his time at the Bucks, and it may be that he continues his development against some of the finest NBA players this summer. The Brazilians have a front three of Nene, Anderson Varejao and Tiago Splitter that can cause problems for any basketball defence. When you think that Varejao has 10 years’ worth of NBA experience by himself, there is the experience and expertise to cause problems in this tournament. Brazil will not be overawed by their prestigious opponents and in their tricky trio up top, they have the potential to cause problems for every side at the FIBA World Cup. If you fancy Brazil to cause a shock this summer in Spain, there are plenty of basketball betting opportunities available to you. You can never write off the hoist nation but even if this event was being held away from Spain, you’d find that the Spanish would be the team most likely to shock America. In fact, if Spain do triumph this summer, it probably can’t be classed as a shock or an upset, such is the growing optimism and belief in the host nation. 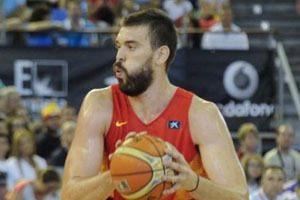 With local sports media proclaiming the Spanish as favourites and players like Marc Gasol and Serge Ibaka on court, you can see why. These two players are probably the key players for Spain, which is some achievement when you think that the Spanish side also boasts of Pau Gasol. Pau is a two time champ in the NBA and a four time All Star player. There is a great deal of quality and experience in the Spanish side, with the team’s chemistry and passing skills being of the highest quality. This is not an event that Team USA has in the bag and it may be that Spain will be celebrating at the end of the 2014 FIBA World Cup.